Jeff Bridges, Maggie Gyllenhaal and Robert Duvall talk to us about their new, award-winning film. 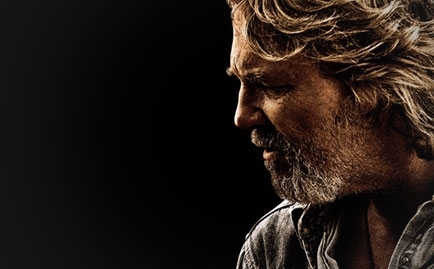 Crazy Heart is a rare breed of movie, daring to tell a quiet and humane story in an era where the bombastic special effects can shield bad writing create a blockbuster anyway (*cough* Transformers 2 *cough*). The film, which is easily one of 2009’s best, tells the story of a washed-up country singer named Bad Blake—played by Jeff Bridges in a towering, iconic performance that rivals Robert DeNiro’s in Raging Bull and Mickey Rourke’s in The Wrestler—who is hopelessly alcoholic and wasting his talents by playing shows in bowling alleys and dive bars throughout the Southwest. But when he meets and falls for a young single mother (Maggie Gyllenhaal in a performance that’s also Oscar-nomination worthy), both he and she have to confront their pasts and decide how to face their futures. Jeff, this film is a story about redemption. Who have you known with the most inspirational tale of redemption? 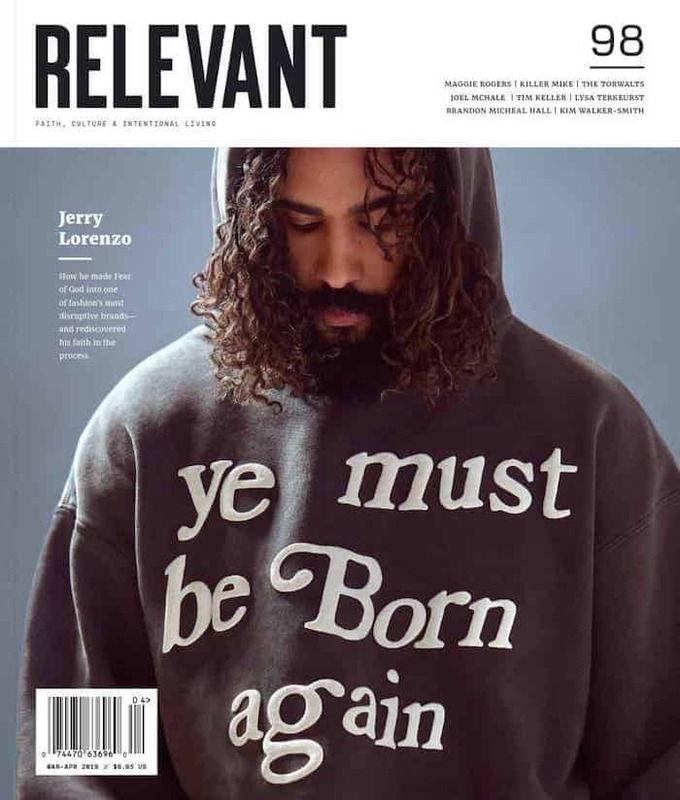 Bridges: I’d list myself, I’ve been redeemed. I’ve been married a long time, 33 years, and when you’re married like that you experience a lot of redemption. Was there anybody in particular you modeled the character on? Was there anyone you hung around with to prepare? You look a lot like Kris Kristofferson in it. Bridges: Nope. Kris and I are friends, we met on a movie we did 30 years ago—Heavens Gate. That’s where I met [Crazy Heart producers and song composers] T-Bone Burnett and Stephen Bruton [who passed away after filming was completed]. We had a lot of wonderful jam sessions over six months with those guys and Kris kept lining up his musical friends to work on the film. I’d have to say I was inspired most by Bruton, who was an old friend of [music producer T-Bone Burnett of O Brother Where Art Thou? fame]—they grew up together in Texas. His life paralleled Bad’s, even to the point he gave us the suggestion that when he traveled hundreds of miles in a day between gigs, he’d have to save time by relieving himself in a big empty Sparkletts water bottle. When I heard that I said, "Oh dude, that’s in there!" Waylon Jennings and Bob Dylan also inspired it. T-Bone made a graph of the people Bad might have listened to, including Leonard Cohen even. Bad listened to all kinds of music, he’s a music lover, so he’d even listen to jazz by Ornette Coleman. There are a lot of really intense scenes. How did you decompress after those to get back to just being Jeff? Bridges: I don’t know if I ever “left” Jeff. You bring that along with you. I once was asked by a guy if I was one of those who brings your roles home with you. I said to him, I don’t really consider myself one of those actors. But my wife was in the room and rolled her eyes, so I said, “Maybe I don’t think I do.” It just eventually subsides. Robert, what did you love about the part and the movie as a whole? Duvall: I just jumped in. I was more the producer and helped anyway I could, especially with casting. I said the doctor who treats Bad Blake in Santa Fe should be Latin American and then when we really had our insurance exams in Santa Fe our doctor was a Latin guy. I use my gut instincts like that a lot. How do you think Hollywood can win back the middle of the country that it seems to be alienating? Duvall: I don’t know. [Maybe by not] making $100 million movies that are gonna fail anyway instead of doing ten $10 million movies and really trying things that are fresh out. The entities making really artistic films are dwindling to nothing due to the economy. In the ’70s, indie filmmaking was within the establishment and now it’s on the outside. People will always enjoy humane movies with a feel good ending and maybe they’ll get back to making more of those. Maggie, you and Jeff have a really great chemistry on screen. What did you find drew you character to him, or was it more about her pattern of picking the wrong guys even before the movie started? Gyllenhaal: If you don’t have a good script and a good co-star, you do have to make decisions like that because you’re not given anything to work with. If you have a script that can be about more than one thing at any moment and you have options to act it in many different ways, and someone like Jeff is so alive and up for anything that you don’t have to think about that or be so intellectual. What attracts anyone to each other? I think people are often attracted to those who aren’t always good for them. I think these people are ultimately good for each other, truly love each other but I’ve been attracted to people who were terrible in all sorts of ways. I worked through it sometimes, and sometimes not. That’s really human and real, and I think that’s part of why the movie is so good—because they are unlikely lovers. [SPOILER ALERT] The scene where you’re finally saying goodbye to Bridges’ Bad, you said it was more difficult than you thought it would be. Why is that? Gyllenhaal: I think it’s incredibly hard for her. It would have been possible for her to say “okay, let’s try it.” We didn’t improvise much but Jeff asked if he could touch me, but I looked down and I wished I could have said yes because she wishes she could. As a mother in the movie and as a real mother, the line you’re walking is that you always have to sacrifice things you may really want and that may feel good, for the sake of your child. Sometimes you don’t make the sacrifice. That line is a really important one—you can’t sacrifice everything for your kid, because you’ll be an empty shell. [SPOILER ALERT] Jeff, Why do you think it’s so important at the end of the movie for this guy to learn he needs to sober up at the expense of this relationship, as opposed to a more conventional ending where they work things out? Bridges: [Deadpanning] Or where he dies. This is an interesting way to go, the most relatable. It doesn’t always work out the way you want it to work out, but that can also be the greatest gift. Maybe the relationship doesn’t work out at this point. I’m an optimist about it. The guy that she’s with, that could fall apart. I think people can relate to this, and it gives people faith going into the unknown territory of trying to wake up your life. It can be kind of frightening to shift gears like that. There’s a song I like in the movie, “I Used to be Somebody, But Now I’m Somebody Else.” You always have to be who you think you are, and keep following that same groove.